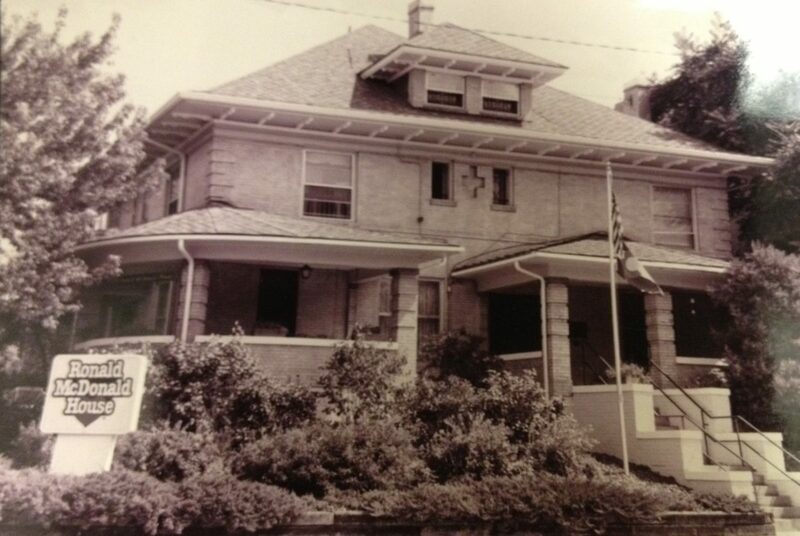 A historic mansion just east of downtown Denver was a welcome sanctuary for over 17,000 families during its tenure as Denver’s first Ronald McDonald House from 1979 to 2001. But with just 15 bedrooms in the House, families had to be turned away many nights because the house was full. In 1999, our Board of Directors decided to build a modern and much larger house next to Children’s Hospital of Denver to meet the overwhelming demand for economical lodging. A $7 million construction campaign kicked off with ground breaking ceremonies on October 8, 1999. The new 35,000 square foot house opened on April 21, 2001 with more than double the occupancy capacity of the old house. Its floor plan features 31 bedrooms with private bathrooms, 2 kitchens, 5 TV lounges and dens, play areas and staff and volunteer offices. With our metropolitan area’s growing prominence in the field of medicine and moves by The Children’s Hospital and the University of Colorado Hospital to the new Fitzsimons Medical Campus in Aurora, our Board of Directors again acted decisively to build yet another, even larger, house to meet future needs. The Aurora Ronald McDonald House was opened in January of 2008, at a site just west of I-225 between Colfax and Sixth Avenue. The Aurora House has the capacity to house 45 families a night. It sports 3 large kitchens, two laundry facilities, TV lounges, play areas indoors and out and a patio area. Again in response to a growing need, we’ve recently increased the capacity of the Denver Ronald McDonald House. In November of 2015, a 44-room expansion was opened, bringing the total capacity of the Denver House to 73 rooms.